A New LifeSize Express Arrived Yesterday Afternoon! Yesterday afternoon we were privileged to receive a grant through Views On Learning to receive a new LifeSize Express system, plus a really cool Ergotron cart and 50 inch display. Views on Learning, Inc. (VOL) is a registered 501(c)(3) not-for-profit corporation established to provide our Educational Broadband Service (EBS) schools with distance education opportunities that meet the requirements of NCLB and improve student learning. 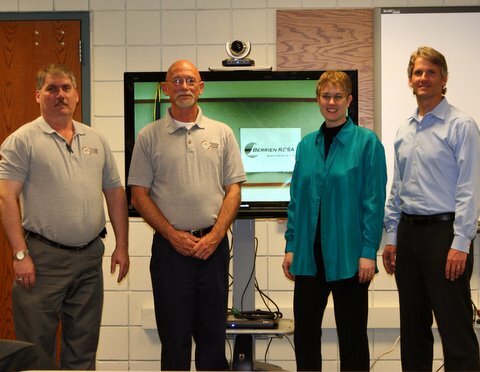 Thank you to Jeff Gangloff and Les Turner of Views On Learning for coming to install our new HD videoconferencing system! 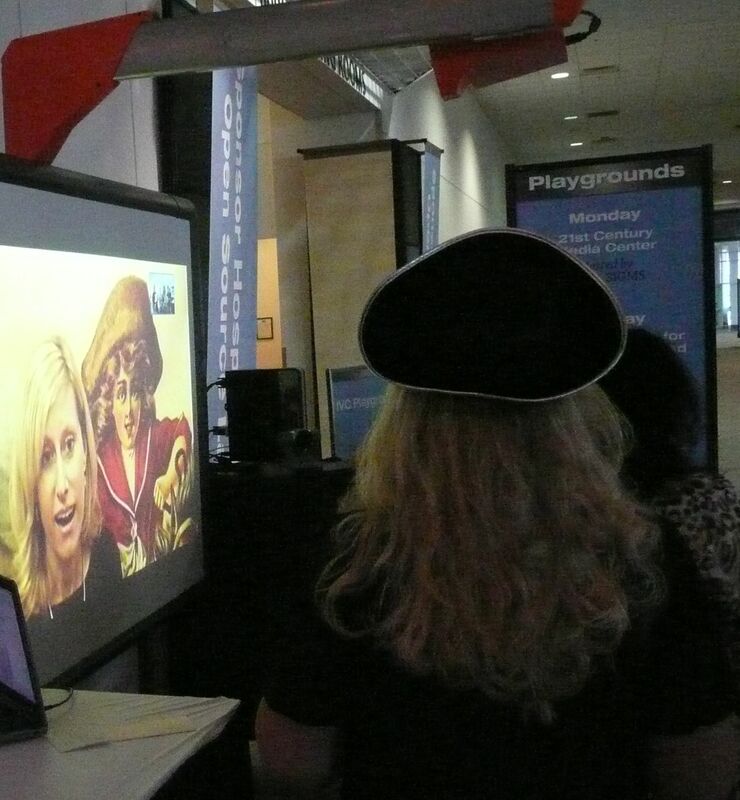 We’re excited to partner with Views on Learning to bring engaging learning opportunities to more students via videoconferencing. I’m looking forward to facilitating the Jazz workshop this summer from this system too. One of our elementary schools was also able to receive a grant through Views on Learning. You can read more about that here. Avermedia is making VC equipment now! 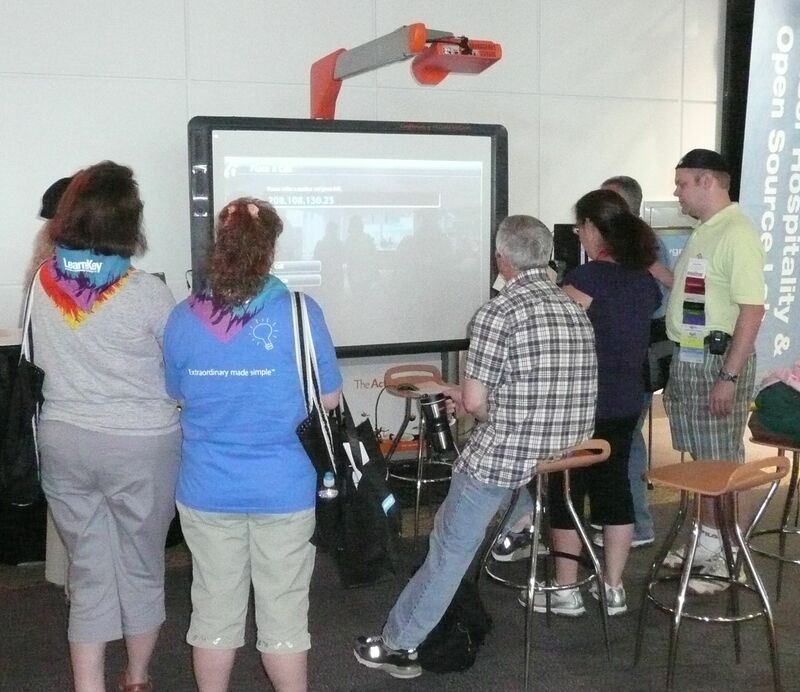 One of the most interesting pieces of information I learned at ISTE today was through @kusdiva who visited the Avermedia booth. She found out and shared via Twitter that they will offer this fall a new HD videoconference system – small and low cost – but cost not set yet as you can’t buy it yet! Check out the picture from their website. You can sign up to learn more about it when it comes out. I’m hoping to get a chance to stop by their booth. SIG IVC Showcase: Elaine Shuck, Polycom, Inc.
Elaine started with a cute video clip about a student waking up in the morning to get engaged. She described the Polycom Special Event with blind author Jim Stovall, as well as other events: Dr. Ben Carson, Evelyn Coleman, Laurie Keller, Sarah Miller, Elizabeth Raum, Sue Stauffacher, Susan Thoms, Margaret Willey, Amy Young, Janie Panagopoulos; and other events for Black History Month, Women’s History Month. Registration opens on September 1st inside CAPspace: Collaborations Around the Planet, where also registration happens for Read Around the Planet and teachers can post their own collaborations as well. The programs are popular and fill up in a few hours, so get ready to register! They also described a partnership with Global Nomads Group and showed how the lesson plans etc. 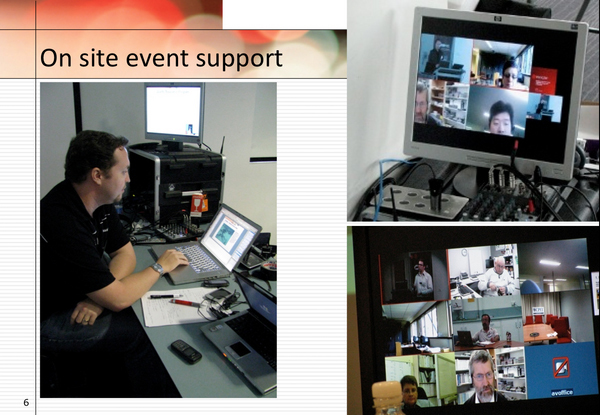 are posted on the Polycom Special Events wiki. The Polycom Special Events are free for Polycom customers, and there are only 5 slots for each session. They ask that only one school per district register for each event to make room for everyone. Sue Porter explained the ASK process: Ask, Specialist, Knowledge, where the students read a book, journal, write good questions, and then interview an author or a specialist. The video shown during the session is linked here at the top of the page. Also FYI, there are a whole bunch of 30 min sessions throughout the conference at the Polycom booth – on CAPspace, with Global Nomads, with Andy Campbell at LearnNCO, and CMA Desktop, the new desktop videoconferencing tool; among other things. Attendance: This session was JAM PACKED – it was great to see the large number of people interested in videoconferencing!